In lieu of flowers memorials may be directed to Alzheimer's association or Albaugh-McGovern Post #42. 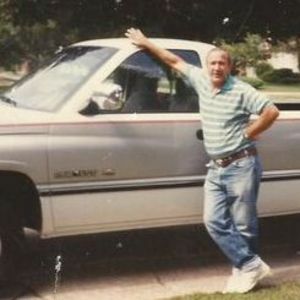 Gary E. Christiansen, 80, of Ankeny passed away March 31, 2019. Funeral services will be held 11:00 a.m., Saturday, April 6, 2019 at Memorial Services of Iowa (4208 N Ankeny Blvd). Gary was born September 15, 1938 in Des Moines, Iowa, and was a proud graduate of East High School, class of 1957. Following his graduation Gary joined the US Navy and saw a lot of the world, as he spent 6 months in Malta and other Mediterranean countries. His ship, the USS Pocono, was the flagship of the eastern force of the Navy, and was in the Cuban blockade. He loved to tell stories of that experience. He had worked for John Deere for 31years until his retirement. He then worked for Wal-Mart for another 15 years assembling bicycles. Gary will be greatly missed by his family and many close friends. He is survived by his wife, Elaine; a son Gary Jr. (Kim) Christiansen, and 2 daughters, Debby (Doug) Davis and Gale (Sam) Petersen; 9 grandchildren and 5 great-grandchildren. Gary is preceded in death by his parents; his brother, Glen; a niece and nephew. Lifting all family and friends of Gary up in prayer today. I pray for all to find comfort during this difficult time. My sincerest condolences to the family and friends of Gary Christiansen. May you all be comforted in this difficult time. I was saddened by the news of Uncle Gary passing, but am also thankful he is whole again and joined with his mother, brother, niece and other family. He was always laughing, joking, and playing with all of us kids whenever we would go visit. I have a lot of memories of cookouts and swimming in the pool, fishing and just spending time together. He is deeply loved and will be greatly missed. What a great guy! Gary and his family lived across the street from my parents many years ago. Though I was just a kid, Gary and Elaine were very nice to my brothers and I. My condolences to Elaine, Gary Jr. and Debbie. I am very sorry for your loss. We are so very sorry to learn of Cousin Gary's passing. Our thoughts and prayers are with you all. Our fondest memories are visiting about our parents and the connections we had just being family. Cars, trucks, kids, picnics and always some story telling, laughing or a good prank! We are with you in spirit.